One of the most important tasks we can do during the day beside brushing is to floss our teeth. The use of dental floss goes along side of daily brushing as it helps cleaning between the tight spaces of our teeth, where the toothbrush finds impossible to clean properly. 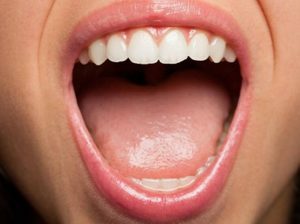 In this article we will be learning an array of different topics thanks to Los Algodones dentists. As such, we will tackle points such as why flossing is important, benefits it brings to our health, how to handle the floss for a proper habit, and some more! Flossing goes together with brushing to achieve a superior dental cleaning. By using it once a day with our respective two daily brushings, we ensure that no harmful bacteria stays for long. The same goes for food that gets trapped between our teeth. You should be aiming to remove all buildup plaque, as this helps you against not only tooth decay, but also gum disease. As you know, plaque if left unattended hardens into tartar. Once your teeth have tartar, it is very difficult to remove without harming the tooth enamel. This is why we recommend a dental cleaning every so often, this ensures no spots are left unclean! Prevents plaque and its buildup. As you see food getting stuck between your teeth, the same goes for sugar and bacteria. With flossing we remove this bacteria that buildup between the gaps of our teeth, avoiding further damage they can do. Also prevents gum disease and tooth decay. Removing bacteria and food remnants greatly helps in preventing gum disease and tooth decay. Gum disease is mostly caused by plaque buildup and tartar that pack up throughout the gum line. Dental floss helps regularly cleaning these spots effectively and swiftly. Gives you a more thorough cleaning. Keeping flossing as one of your daily dental habits gives way to a healthier smile. For parents, it sets a good example to your children. Children learn through experiences. This includes watching our example by carrying out good dental health habits. 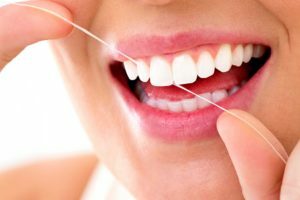 Flossing technique, how do we do it? The process itself is quite simple. It just requires some practice to perform quickly and easily every time. We begin by unwinding some of the floss, about 18 inches will do the trick. We loosely wrap these around our middle fingers, we will be using this floss as we clean each segment. We hold the floss with our index fingers and thumbs so we can manipulate it properly. After this, we can start flossing by sliding the thread between our tooth. Make sure to get each spot! Remember to use only the clean sections of the thread, as we do not want to move bacteria around. Also make sure to curve the thread and get to the gum line gently. It is important to be gentle when handling the floss. We do not want it to snap or to saw our gums after all! Which type of dental floss should I use? There are several types of dental floss out there. For example, in Los Algodones pharmacies you commonly see Nylon multifilament and PTFE monofilament. So what’s the difference between these two? The difference is only about performance and price. Nylon usually comes with multiple threads, which may make it snap easier, but in return it is cheaper. PTFE, on the other hand, is a single strand and might get in-between our teeth more easily, yet it is more expensive. No Replies to "Why Floss & How To?"